click photo to enlarge This is the last page on our trip to Vietnam and will cover Saigon and the Mekong Delta. We will have our last pre-arranged Vietnamese lunch, a 6 course affair, which included deep fried Elephant Ear Fish on the Mekong Delta. Our trip has covered a lot of ground, with a lot of history and sites in a short time. We also got to experience a lot of Vietnamese cuisine via the lunches all arranged by the tour company Tonkin Travel. 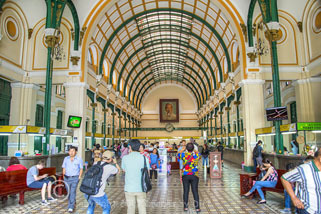 Our afternoon in Ho Chi Minh City was a real whirl wind. After we arrived at the airport, we went directly to the Notre Dame Cathedral. Across the street from the Cathedral was the Central Post Office and the first McDonalds we saw in Vietnam. The post office was designed by Gustave Eiffel, the architect of the Eiffel tower in Paris. 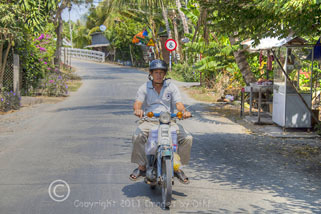 From the Post Office we were off to lunch at the Tam Tam Restaurant with a French Vietnamese influence and 8 courses. After lunch we went to the Thien Hau temple known as the Temple of the Heavenly Lady. After the temple, our next stop was in China Town at the Binh Tay market. click photo to enlarge Saigon was renamed Ho Chi Minh City in 1976, but the locals still tend to call it Saigon. When I was looking to book our airplane tickets, and searched on Saigon, I did not find anything. 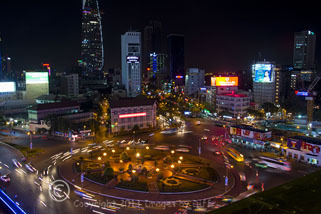 I then discovered you had to look for Ho Chi Minh City instead. I find that kind of funny because the airport code is SGN. 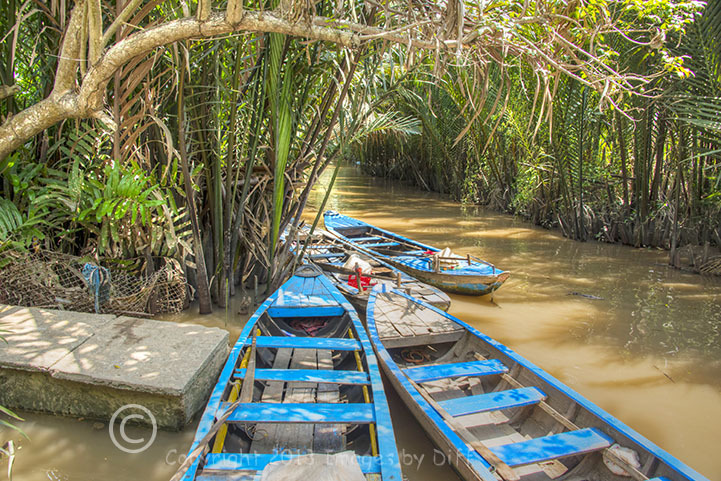 Our final full day in Vietnam was spent exploring the Mekong River Delta. 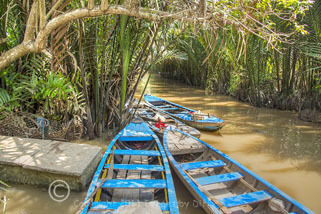 We took a riverboat cruise across the river to Thoi Son Island. 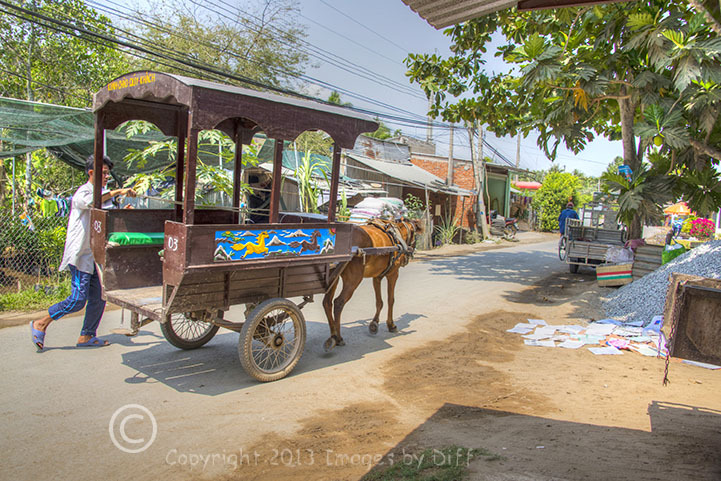 Here we explored the island stopping to see processing of coconuts, then riding on a small horse drawn wagon through the rural streets on the island. We ended our time on the island with our final pre-arranged 6 course lunch featuring deep fried Elephant Ear Fish. The fish was served whole standing up. The waitress pulled meat off the fish, dipping it in a sauce first, then placed in on a piece of lettuce, and finally wrapping it in a piece of rice paper. It may have looked peculiar sitting there staring at you, but it was very tasty. click photo to enlarge On our last night in Vietnam, we had dinner on the roof top restaurant of our hotel, overlooking Saigon. There was a local night market that set up every evening at 7 PM and was torn down at 11:00 PM. After dinner we went down and explored the market for a while.